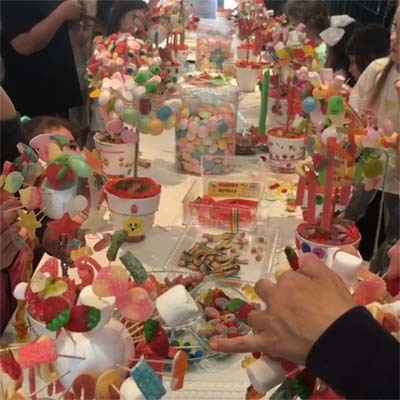 Our fabulous sweet tree parties have been a total hit with the kids. They make a sweet tree and decorate large lollies. They get to take them home gift wrapped in a bag decorated by your child. Each party last 1 hour 45 minutes, with a break in the middle for your kids to have something to eat. We offer regular, vegetarian, Kosher & Halal sweets and chocolate. It is a minimum of 12 kids and a maximum of 40 kids. If you would like to know if we are available for the date you have in mind or book us. Please contact the office here or call on 020 8959 0015. Please fill out this Booking Form once a date has been arranged. We provide a Sweet Tree camp for kids in the half term and summer holidays. 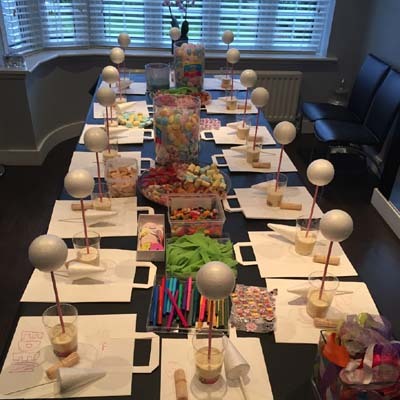 The kids to have a fun packed morning making sweet trees and chocolate boxes. The camp takes place on our premises. Please contact the office here for the next dates for camp here or call on 020 8959 0015.